Q: Was Arthur Jones [1926-2007] the father of high-intensity exercise? A: No, but he was its most visible and effective proponent. “High-intensity training” is another term for “very hard training.” Many bodybuilders were training very hard long before Jones started advocating it in the 1960s. Others in the training world had long been promoting it in print—although not with the visibility and passion that Jones later did. Arthur didn’t promote high-intensity exercise on its own, however. He combined it with advocating machinery he designed—Nautilus equipment—which was much better than competitors’ machines. He sold his first Nautilus machine in 1970, had enormous commercial success and sold the Nautilus company in 1986. It was the double promotion—exercise method and exercise equipment—along with his exceptional marketing skills that produced the Jones-Nautilus phenomenon. The huge success of Nautilus spawned other companies that produced similar machinery. Jones’ impact in the exercise world extended beyond his personal contribution. One of his sons, Gary, designed machinery for Hammer Strength, another leading brand. Q: What did Arthur Jones have to do with alligators and airplanes? A: Before he focused on exercise instruction and machinery, Arthur lived for a time in Africa, made wildlife movies and started trading in African animals. His connection with exotic animals persisted, and he kept some spectacular creatures on his properties in Florida. Jones was also a very experienced pilot. Q: Do any of the pro bodybuilders smoke? The people who have the two best physiques at my gym both smoke. They work out together and even take a cig break during their workouts. 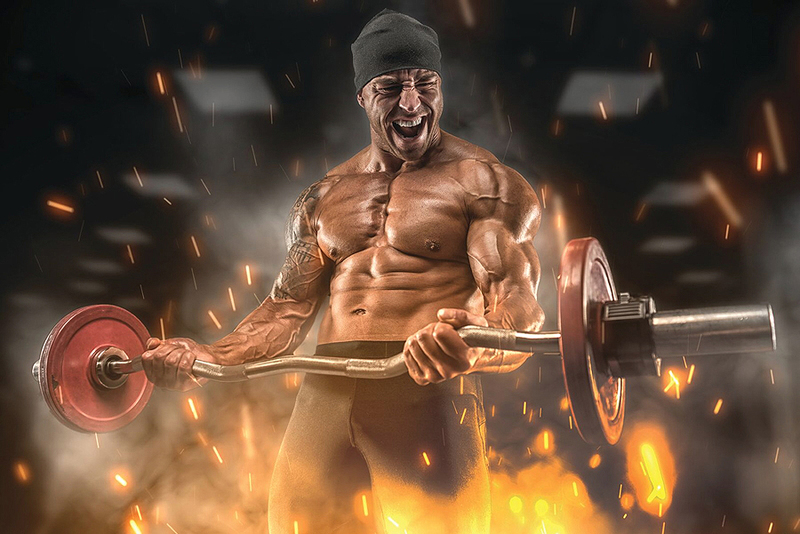 Isn’t smoking harmful for bodybuilders? A: I imagine some of the pros smoke, as does a portion of almost any group of people. Smoking is harmful for anyone, not just bodybuilders, but it probably won’t hamper a young bodybuilder’s progress provided that the health damage hasn’t started to kick in. Even if smoking helped build muscle—which it doesn’t, but suppose it does—I still would never recommend that a bodybuilder smoke. A few extra pounds of muscle over the short term is no compensation for damage to your health over the medium or long term. My father died prematurely—age 59—largely as a result of the harm that smoking had done to him. Smoking wasn’t just his business either. It affected others. It denied me and my sisters a relationship with him during our adulthood, and it made my mother a widow at just 59. I grew up in a house with cigarette smoke in it, and my sisters and I were driven in a car that was often full of cigarette smoke. I had serious allergy trouble as a boy, and one of my sisters has serious allergy problems today. According to some research, children brought up in a smoker’s household suffer more allergy problems than children of nonsmokers. Don’t smoke—for your sake and that of those close to you. Q: I’m 28 but only 5’4”. Do short guys need to train differently than tall guys? A: Muscle building isn’t height-specific. The physiological mechanisms involved in training and muscle growth are the same regardless of height. Even so, height can influence exercise selection. Choosing exercises that are best suited to you is one of the rules of successful bodybuilding. Short people commonly have better leverage for some exercises than tall people. For example, many tall people aren’t suited to the barbell squat and bench press, but many short people are. During their bodybuilding primes, tall Arnold used to train with short Franco, and Franco was stronger than Arnold on some exercises despite being much lighter. In fact, Franco was better suited to those exercises. So even though he was short, Franco still won the Mr. Olympia, eventually. Q: What’s the “upper-body squat”? What is the best curling machine for developing the biceps? Five Types Of Exercise: Which Is Best?